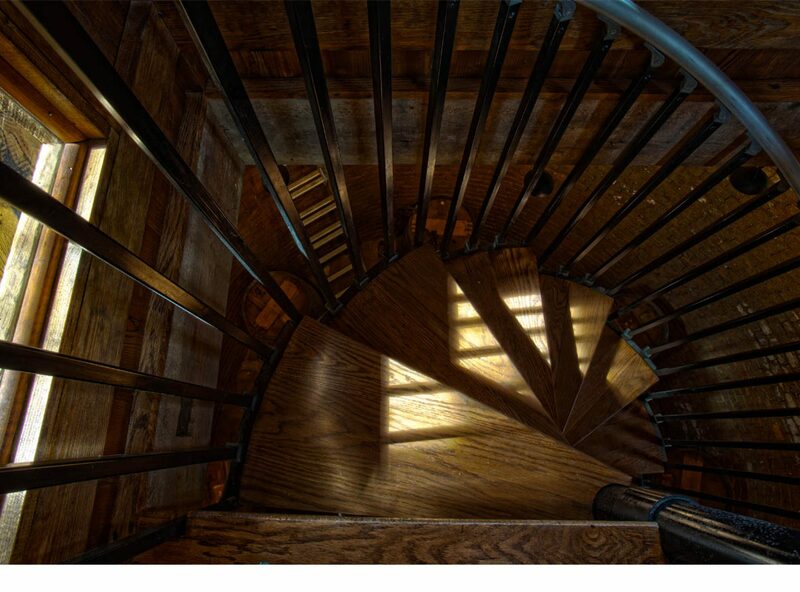 Spiral staircase in the Ice House leading down to stone-lined ice well. 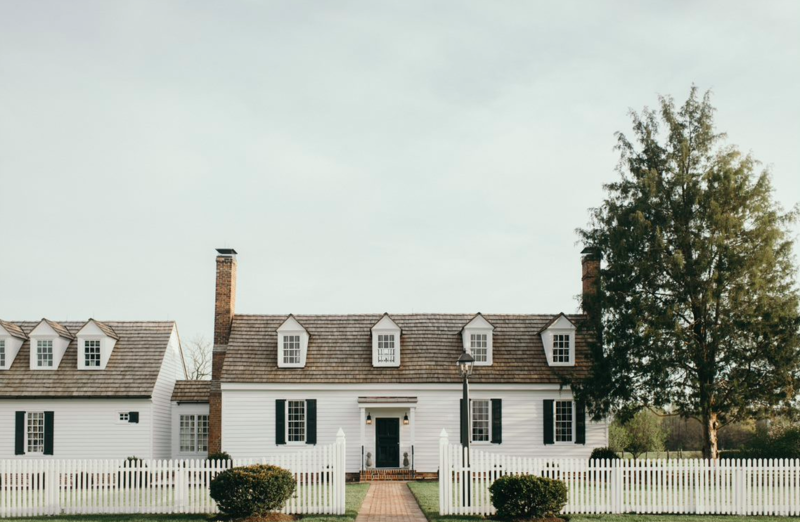 urlington Plantation is a classic plantation home built circa 1818 eleven miles west of historic Williamsburg, Virginia. It is an excellent example of both an 18th and 19th century working plantation. The main house was started by the Edwin and Sara Major family in 1815 and initially completed in 1818. The Major family continued to occupy and improve the main house, doubling its size around 1840. After 1859 the property passed to John Mumford Gregory, a member of the Virginia House of Delegates and Governor of Virginia for a short time during the Civil War. The property changed hands five more times over the next 130 years. The homesite, situated amid several hundred acres of fertile, rural farmland along Virginia State Byway Route 5, features a smokehouse which dates to the late 1700s, a dependency separated from the main house, an icehouse, a boxwood garden, and a small vineyard. Renovations in the main house have been designed to stay true to the spirit of the original historic structure. 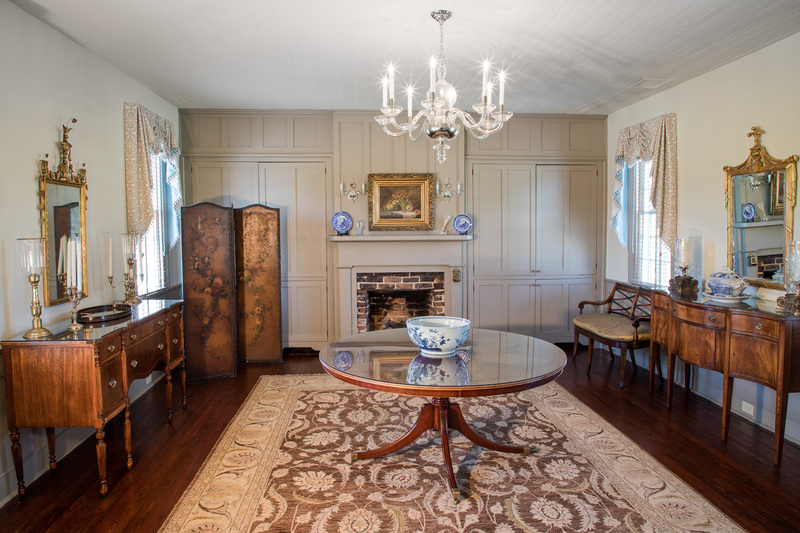 The living room, which dates from the early nineteenth century, has the original pine floors and wide pit-sawn wainscoting topped by chair rail. The fireplace has been restored, along with a period-appropriate mantel. Modern features have incorporated in a way that preserves the character of the historic structure. The Bride’s Cottage was a dependency on the property which has undergone a complete renovation, with full modern kitchen and bath, as well as a beauty salon just for the bridal party. The cape cod-style building has beautiful views of the property. An underground brick-lined Colonial ice house was actively used from the 1700s to store ice cut from nearby Mapsico Creek to keep food fresh and drinks cold until modern refrigeration came along. The structure over the icehouse has been restored and remodeled to serve as a truly unique tap house & bar for events at the property.